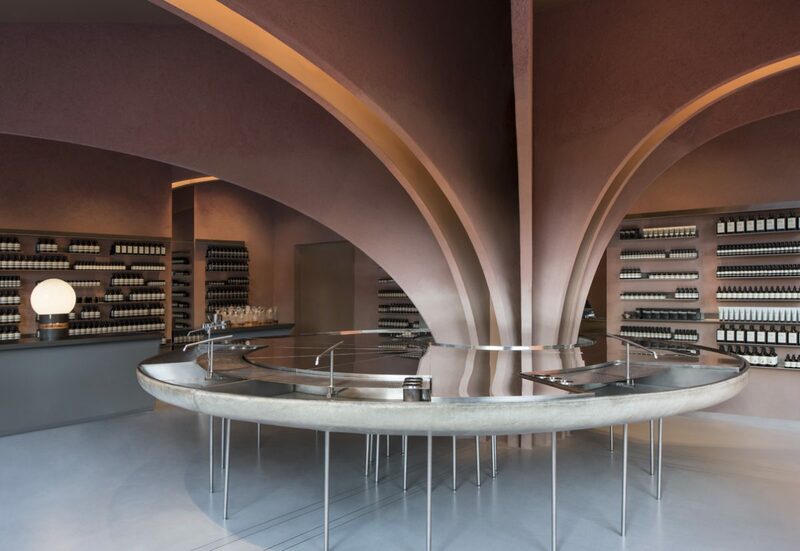 The shortlist for this year’s Surface Design Awards has been announced and we are honoured that our Millennial Pink Ombre Clay Plaster, created for the Aesop London store to a design specification by Snohetta, is a finalist. The bespoke textured and gradient finish is used throughout the store, a stunning example of how one material can be used to magnificent effect when bought to life by ingenious design and clever lighting. It contrasts strikingly with the polished expressions of the clear stainless steel and glass shapes of the centrally located sink. The 100% natural clay plaster is naturally pigmented throughout using only natural mineral earth pigments and has been referred to variously as Millennial Pink, Terracotta, Conch, Devon Red, Pale Red and Royal Rose: its beauty is that it is all of these depending upon the interplay of natural and artificial light at different times of day which dances beautifully on the textured patina. According to Surface Design Awards, each entry was judged on the particular use of materials, the type and finish of the surface and the overall look and feel of the aesthetic design, and is … an exemplary example of creative and innovative use of materials and lighting. The atmosphere is pure and honest, embodying the connection between our earth and its resources and how, if used correctly, can create meaningful and timeless places, no matter the scale. The shortlist includes some of the most established architects and designers from around the world, including Zaha Hadid Architects, Steven Holl Architects, Studio Egret West and Chris Dyson Architects from the UK, Rockwell Group from the USA, and Kengo Kuma & Associates from Japan. 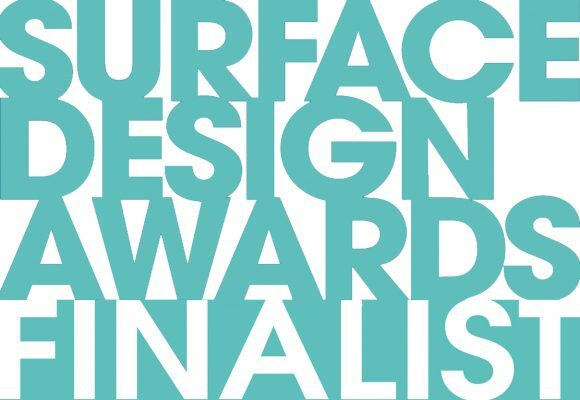 Launched five years ago, the Awards have grown to become one of the most respected accolades in the design awards realm. Thanks to the sponsors for the 2019 Awards: Business Design Centre, James Latham and FINSA.